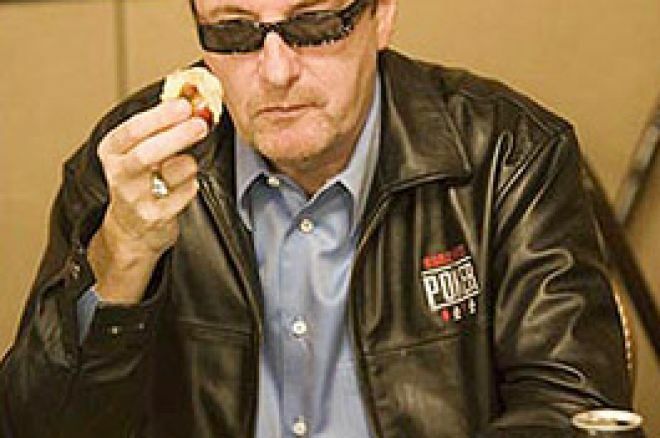 Dave "Devilfish" Ulliott is to star in a poker movie about Texas Hold 'Em. The most recognisable face in UK poker will soon be hitting the silver screens. Ulliott will be on screen in a short ten minute slot for the new film "Poker Face". Filmed on location in the high-rolling Sportsman Casino in London. The movie is already sure to be a big hit just because the Devilfish is taking part. "We're really excited, we've got the best poker player in the country, the best production team and the coolest script - and we're not bluffing". Said John Hales, director and writer for the movie. So, what's this movie all about? Jonny, the star of the movie, has an expressionless poker face. He uses his unique looks to make himself huge amounts of cash at the no limit texas hold 'em tables. As the cash mounts and the stakes become higher, Jonny runs finally meets the Devilfish in a face-to-face battle. "Poker Face" is funded by the UK Film Council and Screen East and Part of the Digital Shorts Scheme. Poker has featured in many UK made films in recent years. Most notably in Lock, Stock and Two Smoking Barrels. Poker has also featured in many international feature films. Some offering superb viewing, others of more questionable quality! It's unlikely "Poker Face" will be a huge international box office smash, but poker fans in the UK may just want to check out the Devilfish's acting for future reference.